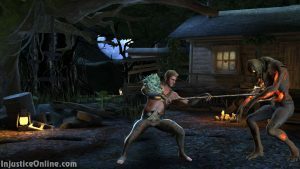 The next Daily Objectives Event is here and it will give you the chance to obtain shards and gear for the silver Aquaman character. 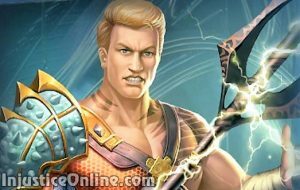 For Aquaman’s entire team, Might Class teammates grant a stun resistance bonus while Metahuman Class teammates improve team defense. Also, using the power of Neptune, Arthur Curry may drain his opponent’s power while dealing damage over time (DOT). Description: 10% Team Stun Resistance per MIGH Teammates. +4% Team Defense per METAHUMAN Teammates. 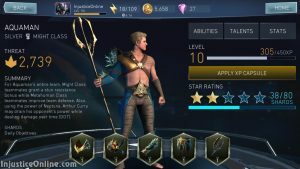 To unlock Aquaman you must collect 10 character shards. You will obtain 4 shards each day if you manage to complete at least 5 daily objectives. After unlocking him you can use the collected additional shards to upgrade him. 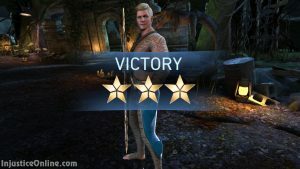 Once you unlock Aquaman you will automatically unlock the special Aquaman Acquisition Achievement and be granted all gear for the character.